All the comforts of home… at home. When individuals are living in their own homes, either with family, friends or independently, our services are still available to them. We go to the person’s home and work on skill development, just as we would if that person were living in one of our homes. This service is especially vital, because each person with a developmental disability has specific needs and requirements. Being able to have our staff visit their homes means each individual can get the assistance he or she needs in the friendly environment of one’s own home. 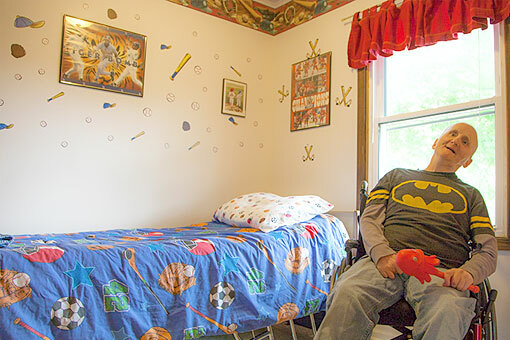 On occasion, a person served from a residential home will move out and begin or resume living independently. In that case, community-living services can be invaluable as we ease the transition to complete independence.